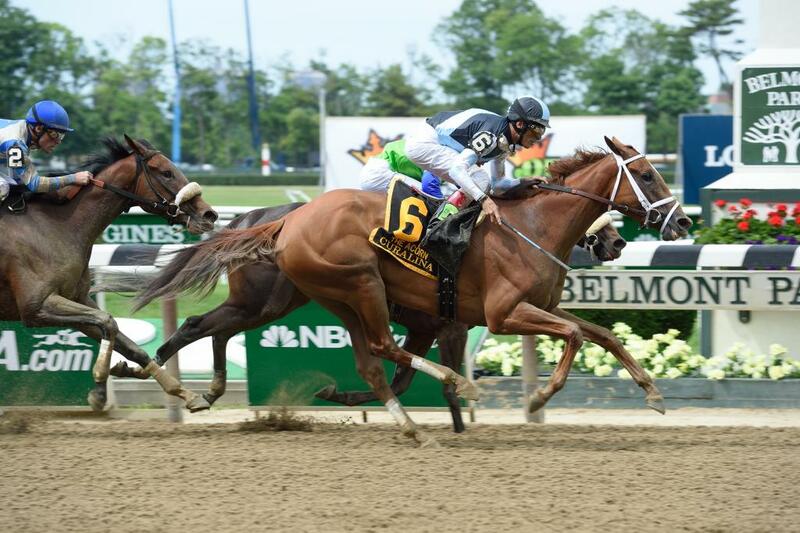 Curalina is perhaps the best filly Eclipse has ever campaigned in a long line of fantastic Eclipse fillies. Scouted by Eclipse as a yearling and purchased for $125,000, this daughter of Curlin was a star, through and through. After breaking her Maiden at Gulfstream and dominating an Allowance at Churchill Downs to launch her 3 year-old season, Curalina delivered an unforgettable performance in the Grade 1, $750,000 Acorn at Belmont Park, overcoming massive trouble to surge to victory in the historic race on the same day and track as American Pharoah captured the Triple Crown. Curalina embellished her legend and race record with a pair of additional Grade 1 wins, including the Coaching Club American Oaks at The Spa and then bounding to a daylight triumph in her 4 year-old unveiling in the Grade 1 La Troienne beneath the Twin Spires at Churchill Downs. Curalina was also placed in the Breeders’ Cup Distaff and several other Grade 1 fixtures, retiring at the end of her 4 year-old campaign with 6 wins from 13 starts and in excess of $1.53 million in purses. Curalina was sold at Fasig-Tipton for $3 million, ranking the #1 highest priced broodmare prospect to be sold at public auction in 2017. She now resides beside fellow Eclipse Hall of Famer, In Lingerie, at Shadai Farm in the Yoshida Family’s “Box of Jewels” in Japan.